I was sitting on my front door step feeling very sorry for myself. My mother said I should stop sulking. My father just gave me a dirty look and went on with his work. My brother Peter has a friend who lives down the road and he had invited Peter to go to the circus because it was his birthday. I was not invited. The circus! I would love to see the circus. How exciting. I’ve seen pictures of people on high wires and trapezes. I’ve seen photos of clowns and seen them on TV, but I was not invited to go. Sometimes life just doesn’t seem fair. I felt two big fat tears running down my cheeks. My grandma appeared at the front door. Grandma usually had a bit of time to spend with me. I stood up and gave her a tearful hug. We didn’t have a dog. We had no dog to die and she knew we didn’t like dogs anyway. She made me smile. ‘It will come again next year Chickadee, and you will enjoy it all the more, because at your age now you may be frightened by what you seem to see. When I was your age I went to the circus and I saw a clown lose his head in the piano. 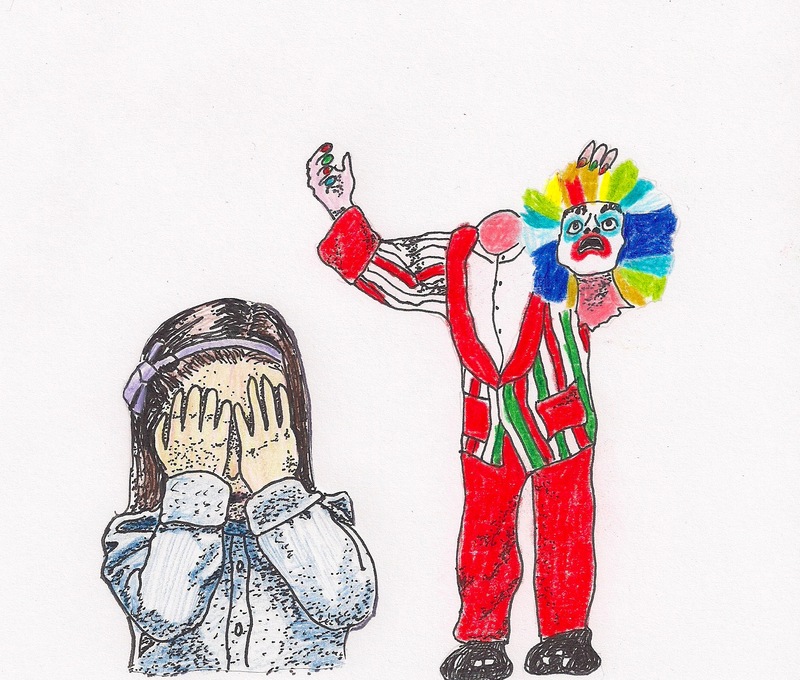 He popped his head into the top of the piano to look inside it and another clown slammed the lid down on him. He came up with no head at all! The clown’s head seemed to have been chopped off. Grandma was right of course. I always noticed when I was beginning to feel jealous about something. I remembered Grandma’s words and stopped those thoughts before they made me feel bad. Why was the girl upset at the beginning of the story? Have you ever felt envious of someone? What was the reason? What do you think about it now that you have heard this story? Has anyone been jealous of you? How do you know? What do people who are jealous sometimes do? What does it mean to be ‘grateful’ for something?